The "Date Night Tour" is our highest rated tour option. Circle downtown Denver at dusk for the best view of city lights. 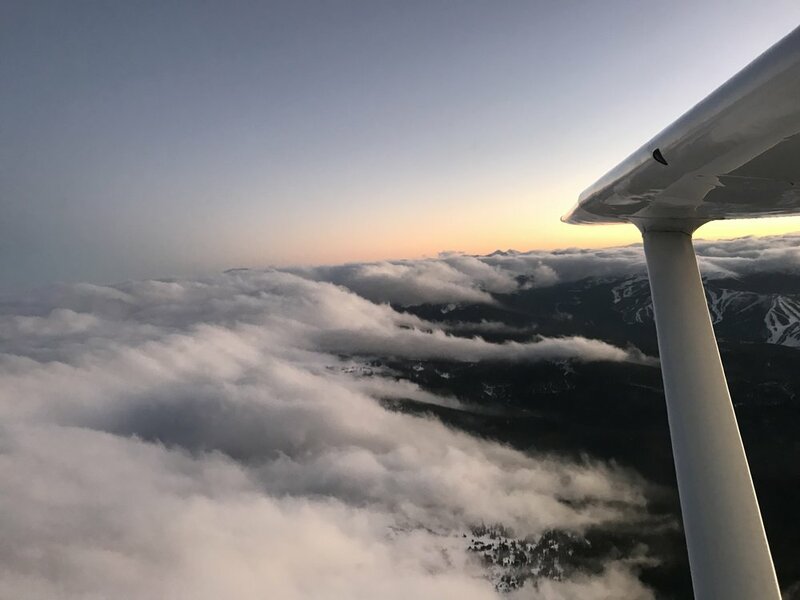 "I'd rate them higher if possible, hands down the best pilot and way to experience the front range. The champagne was awesome and the pilot made the experience 100x better. Definitely recommend. Will be going back for another tour! "My husband and I loved the 1h tour, we had a beautiful view over the mountains and we went over Denver as well. Ben is an awesome pilot, we were comfortable the whole time and it ended with the most perfect landing I've ever experienced. We also got the video of the entire flight that was recorded with cameras placed on the wings. I highly recommend this tour, you won't regret it!